Many very interesting things have happened on my street in the last eight years. This series references those experiences with our neighbors. My mom has many glib witticisims that she pronounces as truths; a couple of her most favorites (which I heard often growing up) are, “Pretty is as pretty does,” and “When you think people are looking at you, they are not.” These were pretty harsh statements for a self-centered adolescent and she even had one more that could trump this lot and go straight for the Ego jugular: “When you are feeling out of sorts, bake cookies for others.” Considering the emotional landscape of a teenager, you can imagine, I baked a lot of cookies! The amazing, magical thing that always happened-whether I was sad, depressed, lonely, dejected, or vulnerable-was that this process of baking cookies and giving them away truly sorted me out! I could be in the most dispirited of states and as the baking ritual commenced, I could feel myself lifting. My mind would initially focus on the chemistry of the cookie (1 tsp baking soda, 1 cup sugar, 4 cups flour...) and then center on the recipient. My thoughts were no longer wallowing in self-proclaimed pity, they were reaching out to someone else, and to another’s story, who needed an extra dose of sweetness in their given season. The cookies created a shared moment that acknowledged another and put life back in perspective. When my husband, Joel, and I first moved into our home (referred to often and simply as our house numbers: 2809), our block was a sinister sea of unknown stories whose sailors stayed inside, anchored in fear and addiction. Surrounded by averted eyes, gated windows, and stupefied souls, I could feel myself becoming fettered by the fear that kept our neighborhood silent and shut-in. My mom perceived this movement away from the eager excitement of a new homeowner and, prayerfully, unfurled her time-worn truism: “Mary, it is time to bake cookies…this time, for your neighbors.” My spirit knew it too; I began to bake. After plates of the sweet offerings were assembled, Joel and I headed outside, praying against the cowardice and consternation that were creeping into our souls. Mutually inspired by the life and work of Dr. John Perkins, we believed we were called to live here, we had felt God’s leading to make our home in Seattle’s Rainier Valley. And to be quite honest, our naive, privileged ambitions began to crumble at our feet in the face of the very real-and now next door-presence of Other. What remained was the very real question of how were we going to live through and past the fear and BE neighbors to these people who didn’t give a damn about us and our enthusiasm. Brandishing our cookies like swords, we decided to meet the fear head on and start knocking on doors and introduce ourselves to the neighborhood. After delivering the last plate, we returned home with less fear and more knowledge of those who resided in this neighborhood. We didn’t know what would come of this culturally foreign gesture, but we did now know our neighbors’ names and they most certainly knew ours. And that is one of the first steps to loving, folks. For you cannot know what you cannot name…and you cannot love what you do not know. The baking had already begun to sort things out: I had no time to cower behind closed doors, I had a neighborhood to get to know! 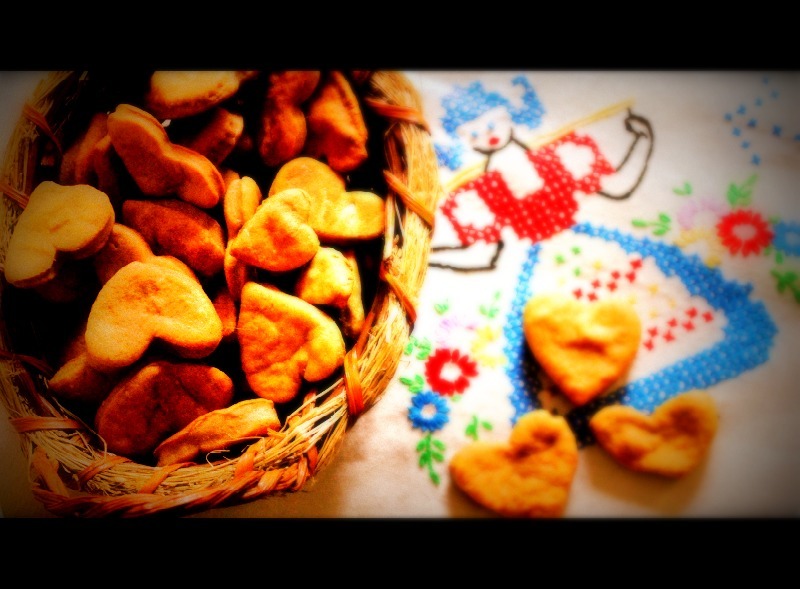 The ritual had begun; we baked heart-shape cookies and read 1 Corinthians 13 until it became our mantra. “Love is patient.” (1 tsp baking soda) “Love is kind.” (1 cup sugar) “Love never fails.” (4 cups flour) Orion made construction paper heart notes to accompany the plates we were assembling for our now-common neighborhood cookie delivery. Orion knocked on the familiar doors of our neighbors homes and greeted each of them by name as doors swung easily and happily open. As I hung back, wanting him to own every second of these moments, I heard him say how grateful he was they were his neighbors and wished each of them a Happy Valentine’s Day. Door to door we went. We had one last plate to deliver; it was the same house that eight years ago a gun was almost aimed at us for doing this exact same thing. Our Laos neighbor, Manichanh, flung the door open with a hug and gave Orion kisses for his sweet gift. 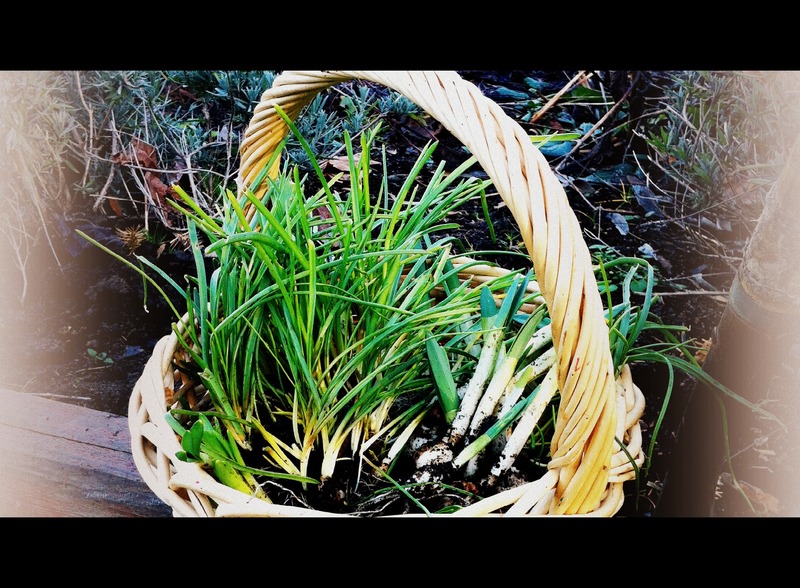 Without hesitation, she grabbed her gardening gloves, and began to unearth some of her urban daffodil bulb bounty to gift us in exchange for our delivery. With our cookie basket now filled with soon-to-be flowers, we returned home to plant this generous neighborly token in our garden. As we planted each bulb, we continued our 1 Corinthians 13 mantra: “Love always protects, always trusts, always hopes, always perseveres. 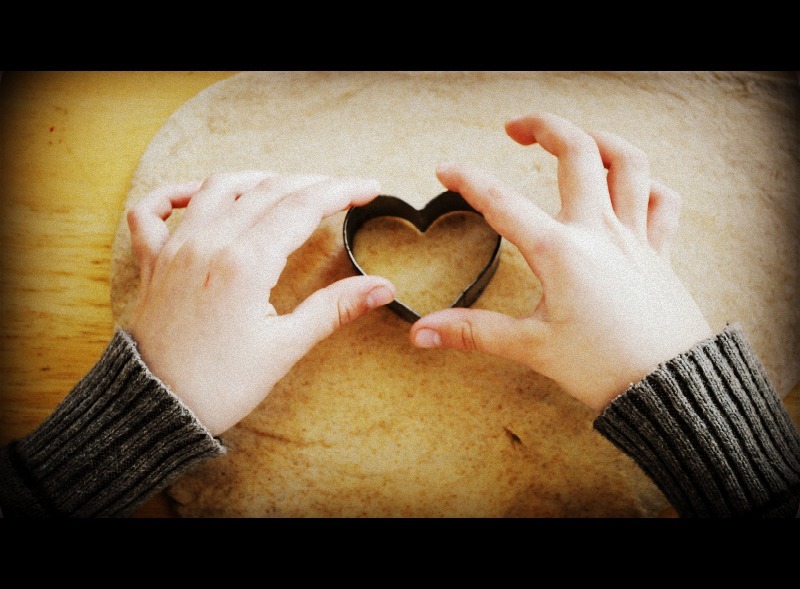 Love never fails.” I scanned my eyes up and down our block while my son dug in the earth, planting very real “seeds of love.” I raised my eyes and sighed a prayer of thanksgiving for each of my neighbors, whom I know and love. And I quietly laughed in response to my mom’s deep wisdom she taught me so long ago. For it is both cookies AND love that never fail. Never. Ever. Enter your email address to follow Waymarkers: the blog and receive notifications of new posts by email.